In Goshen, down South 7th Street, on the same side as the South Side Soda Shop, inside a caramel colored house, lives a little piano with a big past. 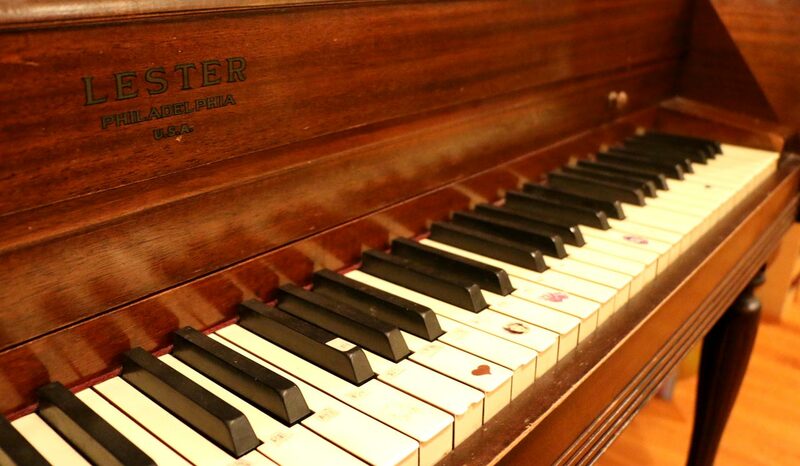 This piano is a humble Lester-brand upright that has moved from house to house to house, providing an instrument for children’s music lessons, a tool for a local composer, and creating a small legacy within the community. It currently sits in the living room in Nayo and Heather Bridger-Ulloa’s home. 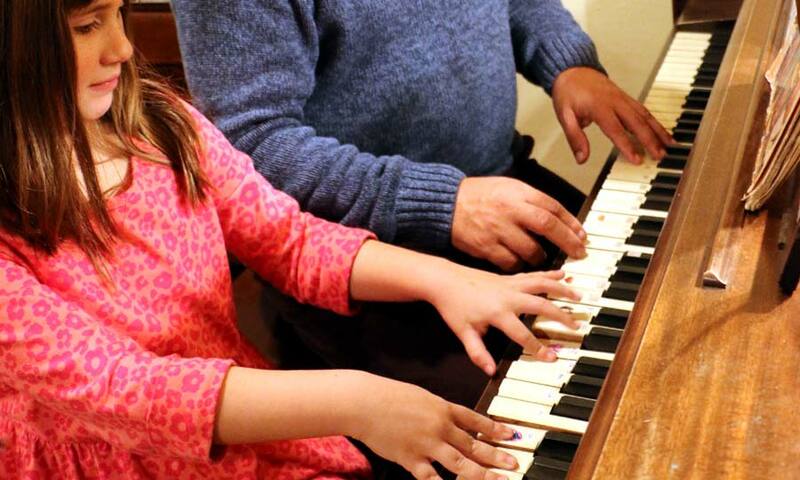 Their daughter Magdalena, a second-grader, likes to play it for fun from time-to-time, but they brought the piano into their house for Nayo to use. Nayo is a Peruvian-American musician who specializes in playing the quena (pronounced “kAy-na”), a traditional Andean flute. He sought out a piano, though, to help him work with his voice. Nayo is also an adjunct professor of Spanish at Goshen College, where he works with Maria Sanchez Schirch, assistant professor of Spanish. 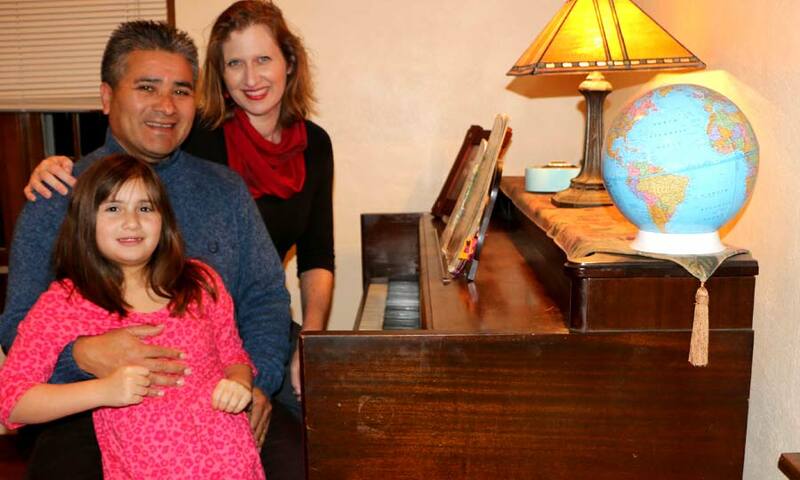 When Nayo mentioned he was looking for a piano one day, Maria mentioned that they had one, a piano that they did not own — in fact they weren’t entirely sure of the owner — but knew they could pass it on to another family. Maria’s family had kept the piano in their house for several years, after rolling it down the sidewalk from the house to their north. 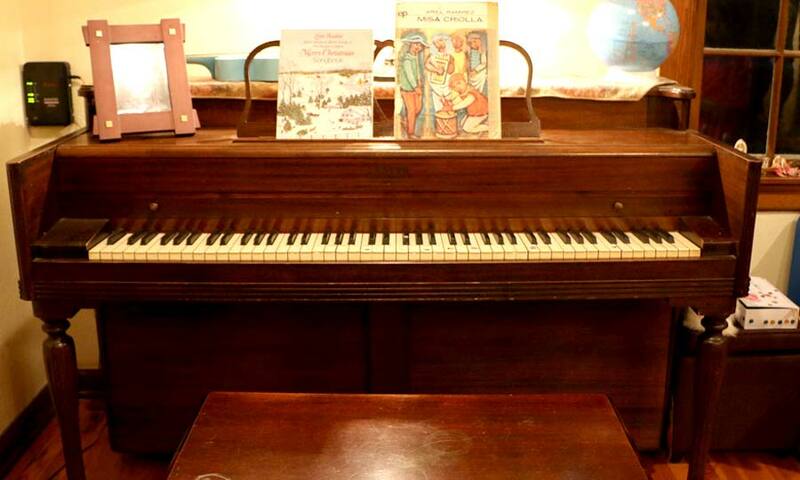 The piano had been at Anne Birky’s home. She had borrowed the piano for her daughter from her neighbors directly to the north in the mid-1990s. Those neighbors, Mel Friesen and Grace Mishler, had kept the piano at their 7th Street home after transporting it with them from their previous home in Carlock, Ill.
Mel and Grace originally acquired the piano in the 1980s, when a young woman who was studying at what is now Anabaptist Mennonite Biblical Seminary, inherited the instrument after her parents passed away. As she was busy in school, Mel and Grace kept watch over the piano, a large hutch and a few other items. After finishing seminary, the young woman began moving from place to place, updating Mel and Grace from time to time about her whereabouts. Mel and Grace had their sons — Jeremy and C.J. Friesen — practice on the piano when they took piano lessons. 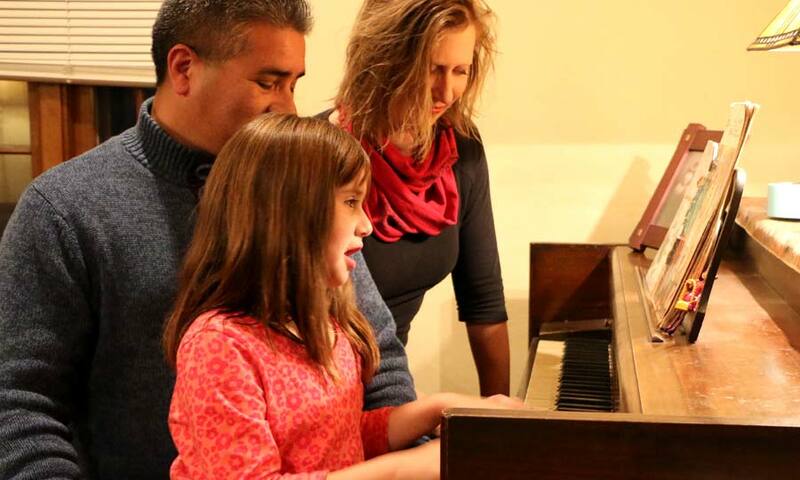 When the family moved to Goshen in 1988, the piano moved with them to their new home on South 7th Street. Mel said it had been about 25 years since he’s heard from the piano’s owner before she touched base again a few years back. She’s very mobile, he said, and may never actually come back for the piano. All those who have kept the piano sometime during the past 20-some years said they liked the idea of it continuing to provide musical opportunities for families.